One reason for declining productivity could be your company's business culture. If you're noticing that employees aren't staying on top of their responsibilities, communication is lacking, and the office atmosphere feels sluggish, you can do something about it. These tips will help you create a more positive and productive culture at your company. A productive workplace means a positive environment and happy customers, so what can you do to foster one? A well-defined set of corporate values helps both your business and your employees stay on track. If you have certain expectations as essential to your company's values -- say, providing the best experience possible for the customer -- it is important that you communicate these to your employees in helpful ways. Foster an open culture in which problem-solving and cooperation are encouraged, and these values will be passed on by employees to the consumer experience. Stress is unavoidable in our modern culture, but it's also becoming a problem. Companies with high-stress environments tend to spend more on employee healthcare. In addition to stress's negative effects on physical and mental health, it is also contagious -- one stressed out employee can quickly bring down an entire team. Find ways to make even the most stressful times more palatable by introducing ongoing stress-reducing techniques. Some companies have started holding group yoga or meditation sessions, while others do visits as a group to a gym or recreational facility. Giving employees a chance to burn off some steam together will help keep bodies and minds more resilient in the face of stress. As a business owner, ultimately the company's culture will come down to you - and your actions will speak much louder than your words. Show your employees that respect and honesty are integral to your company's interactions by treating them with such consideration. There is a much greater chance that employees will respond favorably to your requests in a challenging time if they know you empathize with the additional burden and stress you place on them. You can also be a model for your employees by remaining engaged in the day-to-day activity of the business. 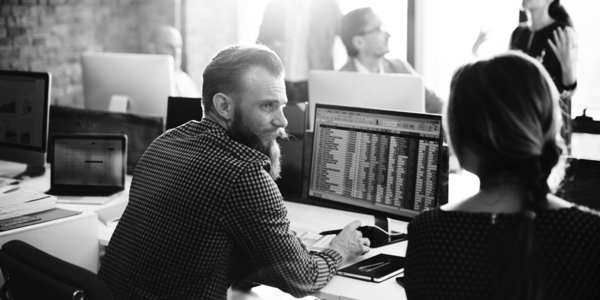 This doesn't mean that you should micromanage or be looking over your employee's shoulders, but instead that you are monitoring and staying up to date on what is happening and how your employees are dealing with it. If they know that they can come to you with questions, they'll feel more supported, and being on the front line will make sure that you can sense any dissatisfaction or reduced efficiency before it becomes a problem. Be on the floor and listening to your employees as much as possible to show them you care. 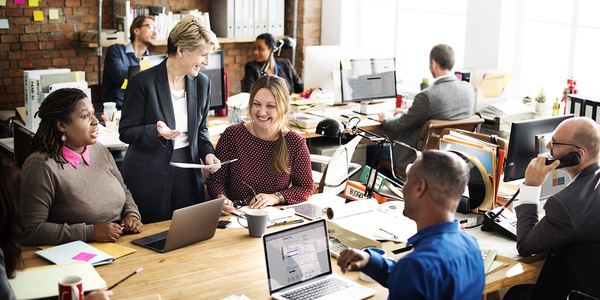 Employees spend a lot of time in the office, so it's important that you give them ample opportunities to enjoy themselves -- and each other's company -- during the course of the day. Changes as simple as making a workplace more colorful, or adding in comfortable places for people to get together and chat, can go a long way in making them happier coming to work. Particularly in Florida, finding ways to get employees outdoors can change up the monotony of office lights. Minor upgrades can have a huge effect, so if you're ready to set a more positive office culture contact us today to learn about our small business banking solutions that can help promote efficiency.